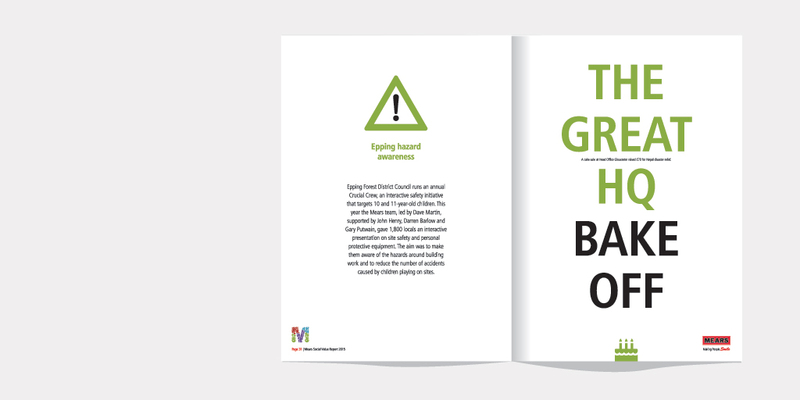 We’re very excited to have just completed the design of the Social Value report for Mears. The report represents the collective ‘above and beyond’ efforts of Mears staff to the local communities they serve. For an important communication being read by both internal and external audiences we felt it should reflect the often innovative commitment of Mears staff. We designed a report that is dynamic and fluid with a consumer feel. Each section and spread has an editorial touch, making it highly engaging, exciting and memorable.